Price is 29% below the initial Lego retail price, a € 6.40 discount! 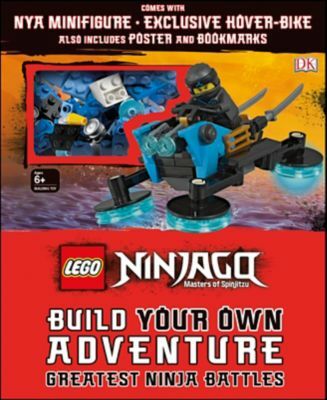 The LEGO® NINJAGO® Build Your Own Adventure: Greatest Ninja Battles (5005656) Lego set is available from the sites below. However, they do not offer delivery to your selected region. Alternate description Build, play and learn all about LEGO® NINJAGO® world!